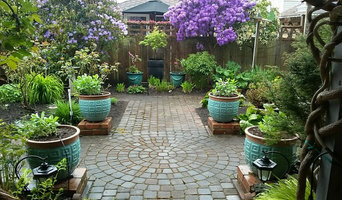 New Roots Landscaping is a family owned and operated company offering a full set of landscape services to Greater Victoria. As a family business we offer accountability, dedication and the personal touch. As experienced landscape contractors we work deliver top quality work from start to finish. An exceptional landscape and interior design/build firm when only the very best will do. 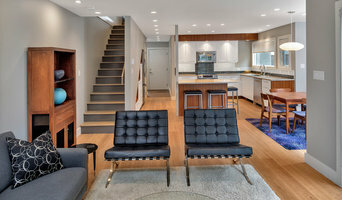 Houzz award winner Urban Habitats specializes in meticulous attention to detail; from beautifully rendered interior spaces through the creation and construction of breathtaking landscapes. Schooled in many design styles, including classic English Arts and Crafts, French formal, Italian renaissance and modern minimalist, head designer Lorraine Locherty creates unique environments inside and out that reflect the personalities and tastes of their owners. A member of the international Association of Professional Landscape Designers, Lorraine specializes in the fluid integration of architectural details and imaginative planting plans to create balanced and distinctive indoor and outdoor spaces. Design services include: interiors, decks and patios, water features, outdoor kitchens, outdoor lighting and beautiful borders. 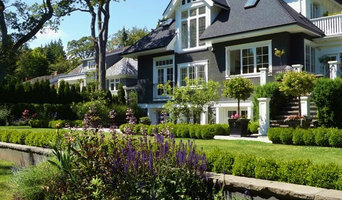 Our garden designs have been featured on tours and in magazines, including Canadian Gardening, Tweed and Boulevard. We offer a full range of property and estate management services. Urban Habitats is a Best of Houzz winner for customer service in 2018, 2017 and 2016 and has an A+ rating with the Better Business Bureau. Villamar Construction is a general contractor that provides: design services, custom home builds, renovations, additions and overall construction management. Servicing clients in Victoria BC, along Vancouver Island and across British Columbia. Serving the greater Victoria area, Abbey Road Paving & Landscapes is a full service outdoor renovation company specializing in interlocking pavers, masonry and landscaping. Our goal is to create outdoor spaces that exceed expectations, add value to your property while balancing aesthetics and function. Whether it’s a small patio or a large commercial hardscape, we take the utmost pride in our workmanship and treat each project as if it were our own home. Whether you want to keep your children and pets safe in the garden or get a little more privacy from your neighbors, fencing is important from both an aesthetic and security standpoint, so you definitely want your Victoria, BC fence installation done right. When browsing Victoria fence installers on Houzz, look for an experienced professional who has completed projects similar to yours and can provide insight and suggestions on materials and fence designs. Research your options prior to talking with a fence installer in Victoria, BC as you’ll have a better idea of what you want and need. Additionally, put together a Houzz ideabook with fence styles and designs that you want — this will help your professional turn your vision into a reality.